Taiwan has an array of adventure activities to choose from, being centrally located on the East Asian frontier the island nation has beautiful geographical features; majestic mountains, scenic cliffs, awe-inspiring waterfalls, quaint peaceful lagoons and all the while being surrounded by water on all sides. What an enchanting tropical paradise to go seeking adventure! Having a population of about 23 million people, Taiwan has two contrasting parts; the flat plains that dominate the western coast couples with a few gentry rolling hills, wherein most of Taiwan’s populations resides. • Surfing: Being an island nation, there is no scarcity of water in Taiwan and needless to say there are number of water sport activities to partake, none more so than surfing. Taiwan has about 30 surfing spots all across its western coastline which are assessable through-out the year. While the eastern coast has some of the best scenery to explore and beeches to visit, all within a one-day distance from Taipei. • River Trekking: River Trekking or River Tracing is a most invigorating adventure activity in Taiwan. It is a combination of hiking, bouldering and climbing along a mountain river. 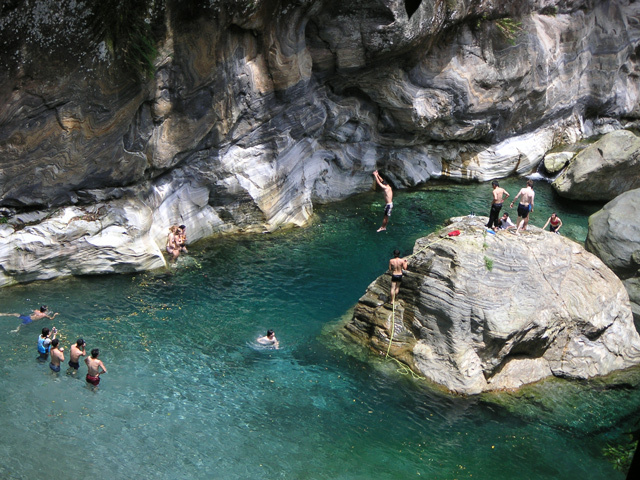 It is a must try in Taiwan; over the course of tracing a river one gets to swim in lagoons and jump into waterfalls! • Cycling: Combined with the country’s natural splendor with advance infrastructure i.e. 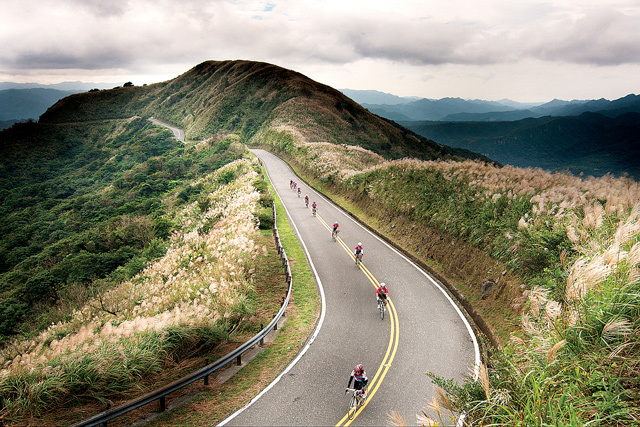 good roads, Taiwan makes an ideal destination for cycling. Due to its vast infrastructure budget spent by the government for the maintenance of its roads, Taiwan altogether has over 3,000 kilometers of road network making it a paradise for cycling enthusiasts to venture within. • Paragliding: It is one of the most exciting adventure activities to experience, the next best thing to flying. 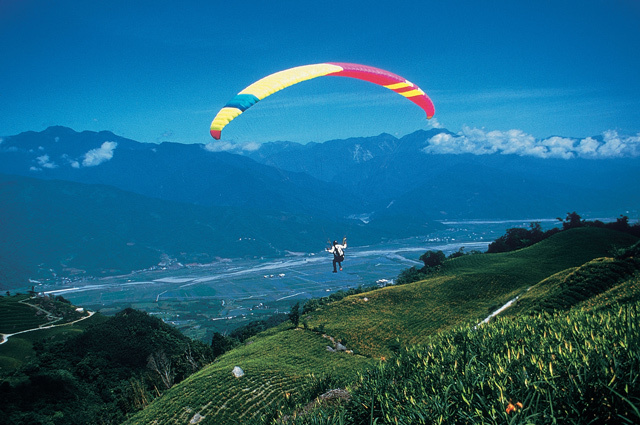 There are a few spots across Taiwan to experience Paragliding without having any prior experience in it, in which case the flight is managed by a professional pilot. One spot in particular, is in Luye Gaotai, wherein the flight time is as long as 10 minutes and the sight of the mountains from the air is simply jaw dropping. • Wakeboarding: Wakeboarding is a fairly new sport in the world of water sports; the term itself was coined about 15 years ago. 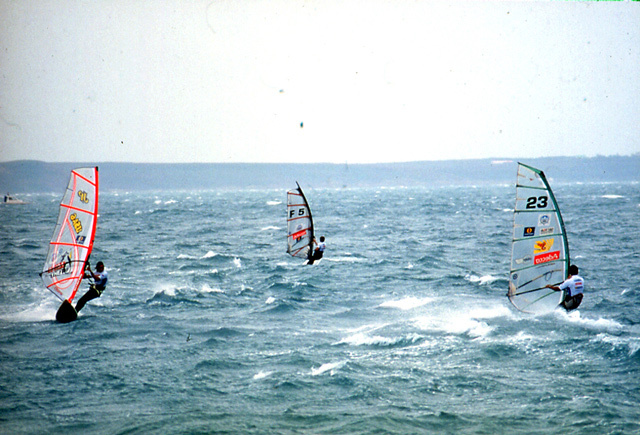 It borrows techniques from three disciplines: water skiing, snowboarding and surfing. The activity requires a board and is done over water, wherein the rider is pulled by a boat through a cable suspended above the water.